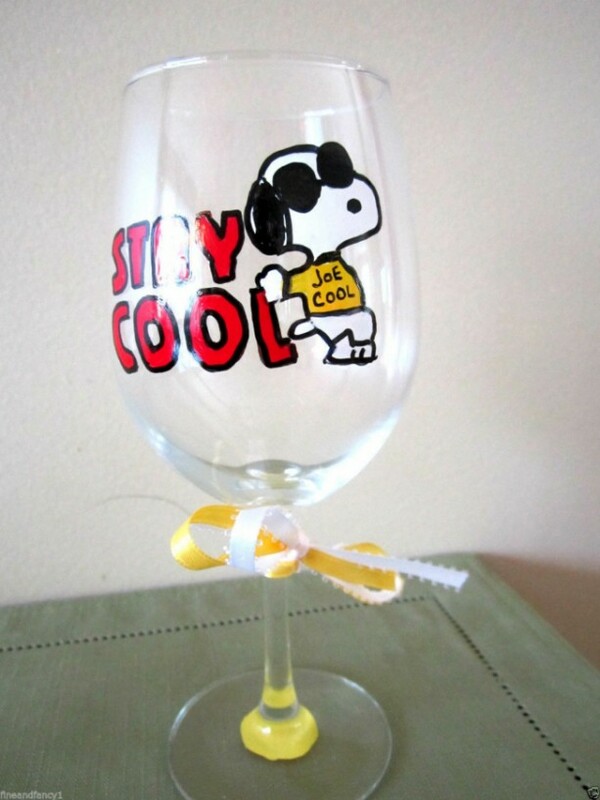 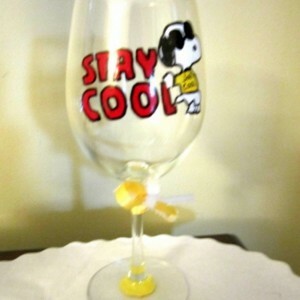 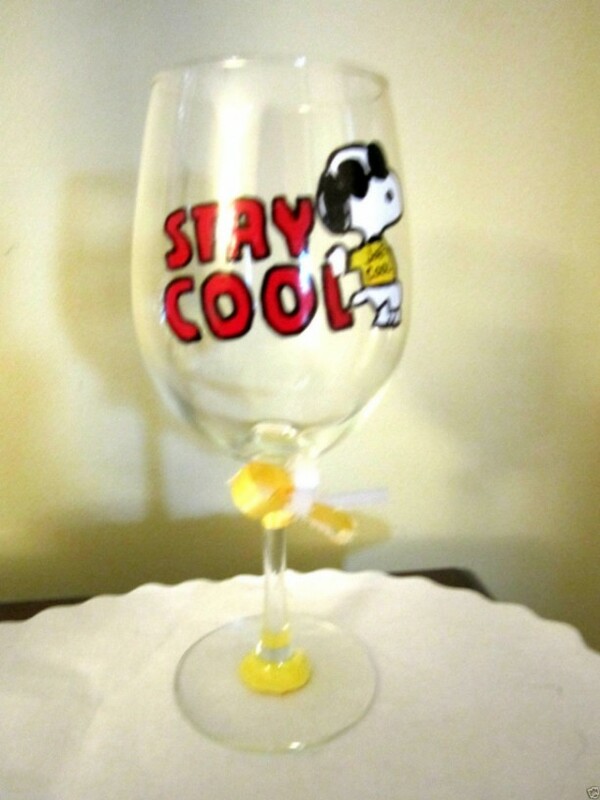 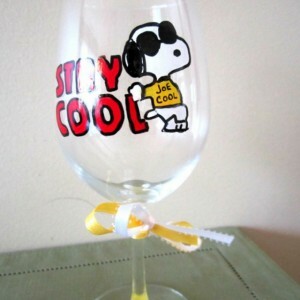 Painted Wine Glass Snoopy JOE COOL Keep Cool 12 oz. 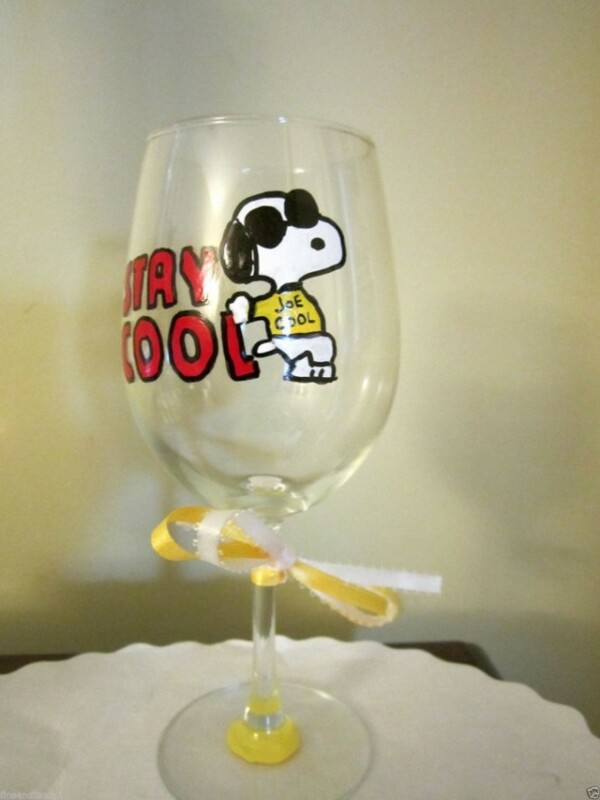 Snoopy wearing Sunglasses and Yellow Joe Cool T Shirt Measures approx: 7" High x 3" 12 oz. 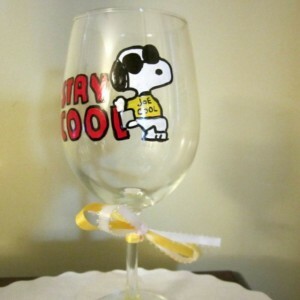 Wine Glasses are all Hand Painted - there will be no 2 exactly alike The harsh chemicals and high temperatures of a dishwasher can damage the paint. Recommend gentle hand washing.